ALL WHEEL DRIVE!! NAVIGATION!! SUNROOF!! LEATHER!! BACK UP CAMERA!! SPORT PACKAGE!! ALL WHEEL DRIVE!! SPORT RIMS!! SUPERCHARGED!! SPORT PACKAGE!! NAVIGATION!! BACK UP CAMERA!!!! LEATHER!!!!!! SUNROOF!! PADDLE SHIFTERS!! BLUETOOTH!!! PREMIUM STEREO SYSTEM!!!! HEATED SEATS!! HEATED MIRRORS!!! SATELLITE RADIO!!! FULLY LOADED!! GREAT VEHICLE AT A GREAT PRICE!! GREAT GRAY/BLACK COLOR COMBINATION!! NO!! CREDIT SCORE 0 CREDIT WE GUARANTEE TO GET YOU APPROVED!! DON'T MISS OUR 2019 SPRING SPECIAL!!! CLEAN CARFAX!! GUARANTEED APPROVALS!! AT SHOWROOM AUTO IF YOU WORK, YOU DRIVE!!! WE at Showroom Auto know the Hassle of negotiating and unfortunate sales Tactics are the most exhausting things that shoppers and consumers have to deal with when buying a vehicle. We know that a low price is not everything you look for, that's why we work hard to make sure that all our vehicles meet ours and your expectations: highest quality and of course a great price but customer service is also one of our highest priority so each member of our staff is deeply committed to your complete satisfaction. We take great pride in our facility, our vehicles, our appearance and serving our customers. Showroom Auto offers America's best-selling and most reliable vehicles. Our customers always enjoy their new vehicles and humongous savings on the overall cost of ownership. Showroom Auto is an indoor heated and air conditioned showroom housing more than 60 top quality and flawless pre-owned vehicles, we offer some of the best cars in all of NYC because we know that all buyers deserve to drive home in a reliable pre-owned vehicle so we are confident that any and all vehicles we sell will pass any mechanical or safety inspection that all potential buyers are welcome to bring the mechanic of his or her choice to look at the vehicles in the showroom before finalizing the purchase. However, if you're unable to bring a mechanic don't worry Showroom Auto is an NIADA certified dealer offering 10 years 100,000 miles limited warranty, Showroom Auto only sells Certified Pre-owned vehicles so you're buying with complete confidence and if you have a problem, come right back and we will take care of it! so if you are tired of spending hours at dealerships looking at dirty cars in the rain, sun and snow along with aggressive sales people, give us a try and see the difference. We encourage you to contact us at 718-349-9600 once you experience the way we do business, you'll understand why our customers are so satisfied and always refer their friends and family!! TO SEE MORE PICTURES OF THIS VEHICLE, VISIT SHOWROOM AUTO ONLINE AT WWW.LICSHOWROOM.COM, IN OUR SHOWROOM LOCATED AT 42-08 35TH AVE LONG ISLAND CITY, NY 11101 OR CALL US AT 718-349-9600 TODAY TO SCHEDULE YOUR TEST DRIVE!!! 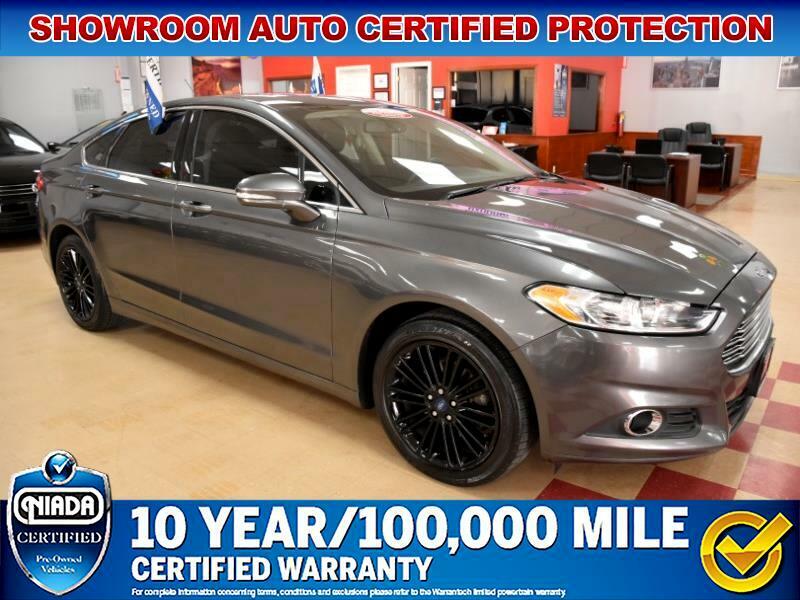 Facility#7105090 DCA#1471177 SHOWROOM AUTO, THE BEST IN PRE-OWNED! SHOWROOM AUTO HAS BECOME THE STANDARD OF EXCELLENCE IN PRE-OWNED VEHICLES!! WE ARE AN NIADA, CARFAX CERTIFIED DEALER OFFERING 10 YEARS 100,000 MILES CERTIFICATION WITH ALL OUR VEHICLES! WE ARE A 80 VEHICLE LUXURIOUS INDOOR SHOWROOM, SO OUR VEHICLES ARE ALWAYS IN PRISTINE, FLAWLESS CONDITION!! THEY ARE NEVER EXPOSED TO THE SUN, RAIN OR SNOW!! WE SEARCH FAR AND NEAR TO BRING YOU THE BEST PRE-OWNED VEHICLES AVAILABLE AND BEFORE OUR VEHICLES ARE OFFERED FOR SALE, EACH VEHICLE IS PUT THROUGH A RIGOROUS AND METICULOUS 125 POINTS EVALUATION WHICH GUARANTEES THAT THE VEHICLE IS IN PERFECT ROAD WORTHY CONDITION BEFORE YOU TAKE DELIVERY!! SO WHEN YOU BUY FROM SHOWROOM AUTO YOU ARE BUYING WITH CONFIDENCE. OUR 10 YEARS 100,000 MILES LIMITED WARRANTY GUARANTEES THAT YOUR VEHICLE IS IN GOOD HANDS, WE COVER TOWING, RENTAL REIMBURSEMENT, KEY REPLACEMENT, TRIP INTERRUPTION AND ROADSIDE ASSISTANCE!!! WE STAND FIRMLY BEHIND OUR PRODUCT SO WE'LL ALWAYS TAKE CARE OF YOU!! WE HAVE OVER 20 LENDERS WAITING TO APPROVE YOU!! If financing all loans are arranged through third party lenders, and approvals are determine by these lenders, severity of credit may affect down payment, rates and terms. Internet prices are final. These vehicles are priced to sell. Sales price listed is the balance financed. Sales price do not include Used Vehicle Recon, Certification, Destination, Prep, Tax, & DMV Fees, see Dealer for details. Must take delivery from our showroom to receive special internet pricing. We reserve the right to accept or refuse any offer we deem unprofitable. We reserve the right to end this listing, should the vehicle be no longer available for sale, while every reasonable effort is made to ensure the accuracy of this information. We are not responsible for any errors or omissions contained on these pages. Call us or Email us to verify any information and or questions and we will call and or text you back with more information. Thank you for your interest in SHOWROOM AUTO. We look forward to seeing you in our showroom. SHOWROOM AUTO, GUARANTEED APPROVED FINANCING!! IF YOU WORK, YOU DRIVE! !